South Australian Criminal Law and Procedure is the first critical work on the criminal law and process of South Australia. The first edition of this text concentrated on the substantive criminal law. This second edition includes four chapters on the principles and laws of criminal process. Seventeen chapters review and critically evaluate the theory and doctrines of criminal law in South Australia, including criminal law philosophy, legislative interpretation, major categories of common law and statutory offences and defences, policing and trial process and post-conviction appellate procedures. 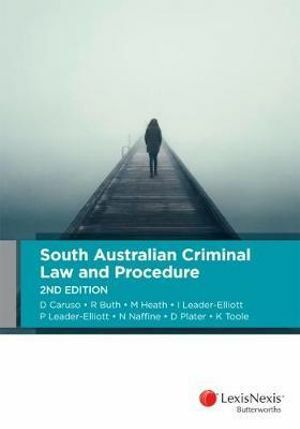 The text includes review and analysis, case studies and exercises and critical assessment of the formulation, development, rationale and status of South Australian criminal law and procedure.